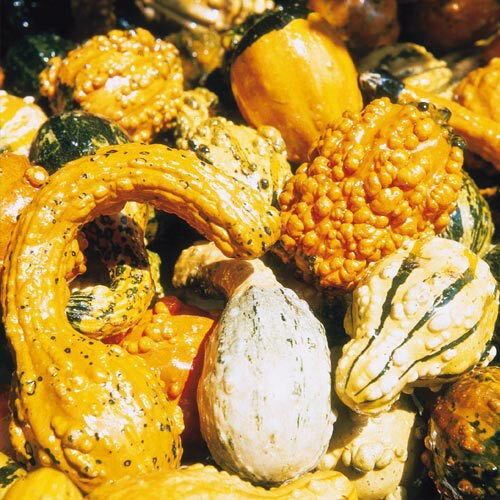 CommentsCombination of assorted large and small gourds. May contain varieties listed in small fruited mix and large fruited mix. Note: Same as Decorative Mix. YieldApproximately 300 fruits/100 foot row. Days To Maturity80 - 100 days.